If you love the outdoors, then you are no doubt always on the hunt for the best in camping, hiking, backpacking gear and equipment. Whether you are just getting started, or you're curious about the variety of new products on the market each year, you can find helpful information - and great product ideas - on LoveToKnow Camping. Equipment needs vary based on camping type. Find the best options for backcountry, improved and RV camping gear. 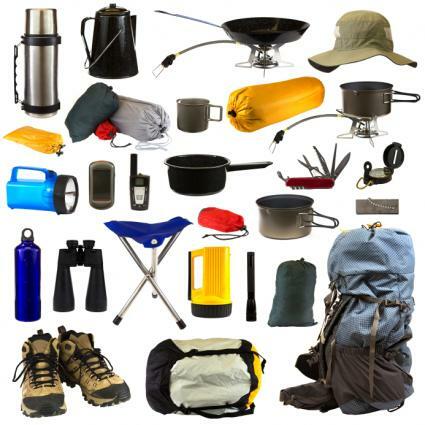 Backpacking: Learn what kind of backpacking gear you might need, including backpacking tarps and ultralight items. Hiking: Discover the best places to buy hiking gear and learn about specialty gear such as custom hiking boots. Campsite supplies: Find information about everything you need, from air mattresses to metal camping cookware and more. Apparel: Learn about clothing that can help keep you safe and comfortable when camping, such as waterproof rain slickers. Safety: Get information on safety-related camping gear, such as fanny pack first aid kits, wilderness survival kits and crank camping lanterns. Skills: Learn how to put a tent together and get ideas for creating your own homemade camping gear items. No matter what kind of camping you enjoy, space will be at a premium. Learn how to pack properly to make the most of the room that you have for the things you need to take camping. The printable camping supply lists and hiking checklists available here are great tools to help you to gather your gear and get organized. Proper preparation is an important key to enjoyable camping adventures. When you're looking for information about camping supplies, equipment and gear, there isn't a better online resource than LoveToKnow Camping. Whenever you're preparing for an outdoor adventure, stop here first. Chances are you'll discover everything you are looking for - and more!